PAN Emirates Home Furnishings, a leading home-grown indoor, patio, and outdoor furniture brand in the region, has unveiled its new winter collection at its showrooms in Dubai, Sharjah, Abu Dhabi, Al Ain, and Fujairah. 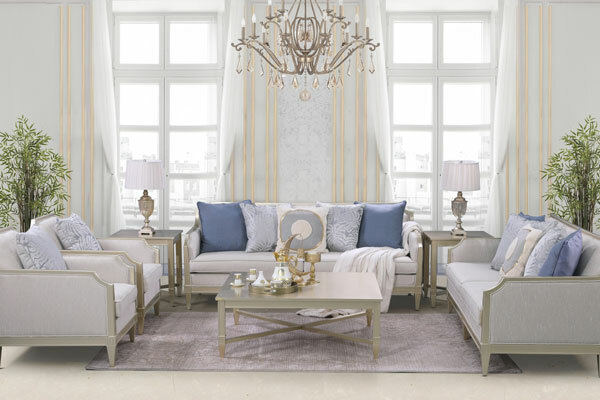 The range of options available for shoppers include Victorian, Rustic, Country, Spring, Boho, Classic, Transitional and Modern designs thus helping them give their homes a fresh new look to celebrate the season with friends and family, said a statement from PAN Emirates Home Furnishings. Today, PAN Emirates has 15 showrooms all over the GCC with future plans to expand. Four new store openings are being planned in the UAE, and one in Oman, within the next six months, it added. The new stores will allow the brand to get closer to a wider audience, said the company statement. Also the customers will get to enjoy shopping for their favourite interiors, home décor, lighting and patio-furnitures through the PAN Emirates app, all within the comfort of their homes, it added. A leading home refurbishment destination, PAN Emirates said it continues to reinvent its product and service offerings, thus continuing to remain synonymous with easy, stylish and affordable home decorating solutions over the last 25 years.